Take in the stunning London skyline and a buzzing atmosphere in the Tate Modern Members bar. 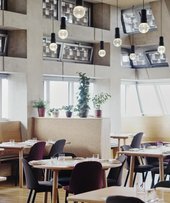 Tate Modern’s Members room offers a selection of wines, cold British beers and ciders, plus refreshing juices and smoothies. A delicious selection of food is available from the lunch and evening menus. 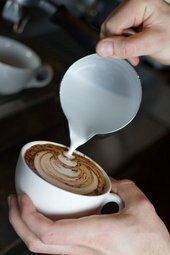 We also serve our very own Tate Coffee. Members can enjoy access to the Members room at Tate Modern. Members rooms are fully wheelchair accessible. How many guests can I bring in with me? You can take in as many guests as your membership type allows and all Members can bring up to six children in with them. If you need to check your membership type, simply log in to your account to find out.